Not again, Jimmy Fallon! The beloved late night TV comedian was just hospitalized this summer after getting an injury to his hand, and last night, Fallon found himself back at the hospital after falling at Harvard University, according to E!. 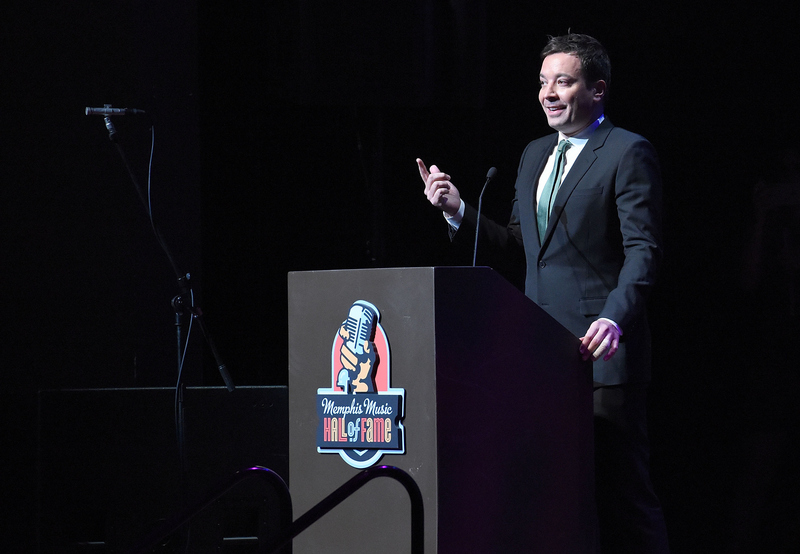 The comedian was rushed there after the quick mishap, and as photos from Fallon himself show, the trip led to him having to rock a cast on his hand. Poor guy! On Saturday night, the Tonight Show host visited Harvard to receive a prestigious award, the Elmer Award for Excellence in Humor, given by the popular college humor magazine, the Harvard Lampoon. In fact, the award is so prestigious, that Fallon was the first person to be awarded it this century. Unfortunately for the recipient, his night was not entirely made for celebration. Fallon's celebrations were brought to a halt when he had a freak accident at the event. According to People, he was in the process of accepting his award when the accident occured. Immediately, he was transported to the Massachusetts General Hospital. I guess you never know when trouble is going to strike. People reports that according to a witness of the accident, "It was all part of the celebration in the street and some random girl kneeled down in front of him abruptly as he was turning around and he tripped over her because he didn't see her." Another onlooker happened to get the whole thing on video, and was quick to post it to Instagram. Tough break! Thankfully, Fallon was able to return to the event after his hand was bandaged, so it looks like he's in the clear! No surgeries in sight for this comedian. Fallon even posted this funny Instagram on Sunday, letting everyone know that he is in fact, totally OK (minus a few cuts, it seems). Glad to see that the TV host is doing fine. Hopefully, he won't take any more hits to the hand anytime soon. Band-aids don't always fix everything, Jimmy!